Hello everyone! 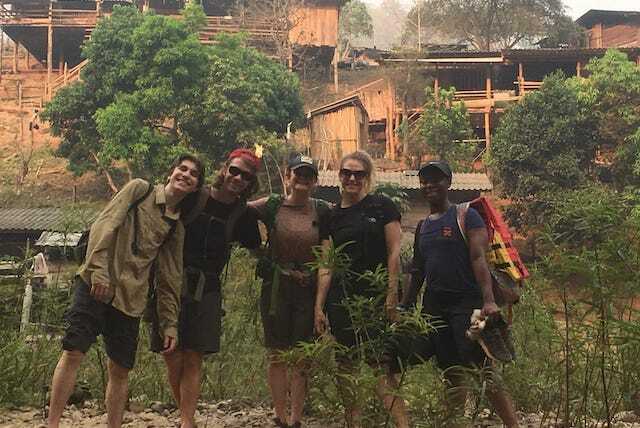 This past week we all went on a 4 day 3 night trek through the jungle outside Chiang Mai. We started off at a orchid farm/ butterfly garden, and then went to cool off at a waterfall. Afterwards we began our trek to the first Karen village where we stayed the night. Day two was a long day of trekking. We finished off the day swimming a little bit in the river when we arrived at the village. On the third day we trekked a little in the morning and then after lunch everyone got to feed and bathe elephants! The second half of the day consisted of a bunch of walking uphill and then sliding down the rest of the trail. At the end of the day we arrived at a beautiful village on the river where we spent our third and last night. On day 4 we started off the day with bamboo rafting! On one raft was the boys and on the other the girls. After rafting we ate lunch and then drove to an elephant poopoo paper park where we were given a tour and showed the process of making elephant poopoo paper. Then we ended the day back in Chiang Mai for one more night before heading to Bangkok! The past week has been full of laughs, adventure, delicious food, and sweaty bodies! 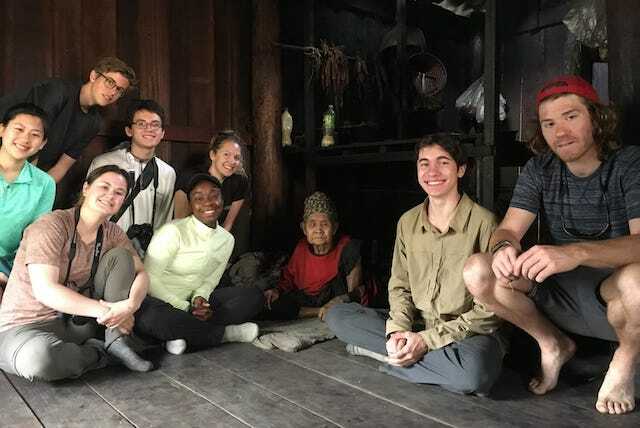 The Sabai group with their village host. Trekking through Karen and Lahu hill tribe villages. Preparing food with Susin, a Karen guide. Group trekking north of Chiang Mai. Riding traditional bamboo rafts down the Mae Ping river north of Chiang Mai. Preparing dinner with Suzin the trekking guide. Cooking eggs during the trek.